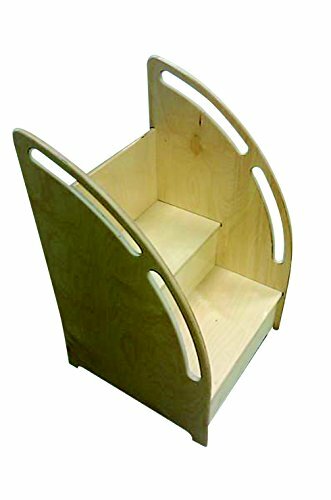 Bird In Hand Secure Step measuring 32 x 19-1/2 x 19-1/2 inches has wide and deep steps making it convenient to keep young hands clean. It is perfect for use in the classroom or home to encourage proper hygiene before lunch or to help with cleanup after art. Versatile step unit with each step measuring 18-1/4 x 9-1/4 x 7 inches has non-skid strips that provides sure footing. It features each side panel with easy-grip cutouts that are easy to hold. If you have any questions about this product by Bird In Hand, contact us by completing and submitting the form below. If you are looking for a specif part number, please include it with your message.